With a specific expertise in India and China, John Caslione provides hands-on experience with a keen focus on how US and European firms can develop strategies to succeed as they grow globally. His highly valued presentations are dynamic, information-packed, and sought after by CEOs and audiences from around the world seeking current, first-hand knowledge of global business markets. John helps business leaders address one of their most perplexing questions confronting them today: How do I get my organization to understand that to be successful we must look beyond the U.S. (and Europe) and be committed to building our foreign business, especially in emerging high growth markets, to sustain our company’s mid- and long-term growth? The great American shift is now underway. Is your company ready for it? Amelia Earhart once said that, “Trouble in the air is very rare. It is hitting the ground that causes it.” The same is true with globalizing. Our 30,000 foot perspective isn’t the difficult part of globalizing; it is actually being on the ground and putting a global organizational execution and transition plan into action where it gets hard. If companies want to survive and thrive, globalization is not an option: it is a necessity. All strategies wear out and do so even faster during times of turbulence. Caslione’s CHAOTICS is a disciplined approach for detecting sources of turbulence, predicting consequent vulnerabilities and opportunities, and developing critical, pragmatic and timely responses. CHAOTICS represents a new system, a new set of strategic behaviors and guidelines designed to help business leaders and their companies navigate turbulence and uncertainty. The good news: there are opportunities, and leaders who truly lead are capitalizing at this (shifting of growth) moment in time. Without a doubt – the next surge in consumer spending will not be felt in the U.S. or Europe. The massive surge of consumerism will continue to be evident in Asia and the emerging markets. In this New Keynote address Caslione tells audiences what other businesses are doing to “Tap In” and leverage this very big opportunity NOW. There is a shift happening, and you do not want to miss this important global perspective when planning your next executive strategic planning session. Today’s competitive environment is not for the meek, but there are business strategies that work when competing in a price-driven marketplace in today’s global economy. Caslione’s Value-Added Strategies™ are used by Fortune 500’s and is one of Caslione’s most requested Global Business Keynotes for Sales Management teams. John A. Caslione a highly respected thought leader and expert in global business strategy and the new global economy. 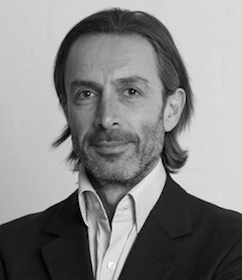 John is vigorously sought after as a keynote speaker and conference leader. Having done business in 88 countries on six continents over the past 20 years, John’s dynamic and pragmatic approach to engaging an audience, with today’s complex topics, has kept him in high demand as a premier keynote speaker worldwide. John’s keynotes address the most provocative and important business topics of the day that he presents to many forums including corporate Fortune 500 and FT 100 company events and notable industry conferences worldwide. John and co-author marketing guru Professor Philip Kotler, have collaborated to write their best-seller 2009 book, Chaotics: The Business of Managing and Marketing in The Age of Turbulence (AMACOM Publishing; published May 2009). 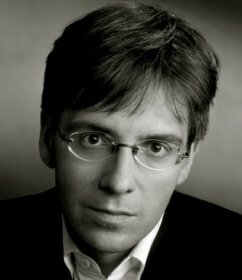 Chaotics defines a new strategic platform that addresses the need for business leaders to develop a new mindset – one that takes into account unpredictable periods of disturbance – as the world has now entered into a new age of frequent and heightened periods of turbulence in the global economy. Outlined in Chaotics are 8 key components of the acclaimed Chaotics Management System. Chaotics is currently published in more than 50 countries and in 24 languages with new countries and languages being added monthly. Chaotics is the number one book for 2009 for each of its publishers worldwide. Chaotics has surpassed all sales expectations and has generated tremendously positive reviews from top business leaders and renowned thought leaders internationally. John’s most requested keynote topic comes directly from his most recent book, Chaotics, and this topic is his most gripping and dynamic speech to-date for all audiences. John’s keynotes are widely applauded by business and government leaders alike. John also speaks on a range of compelling topics from the new global economy, strategic business development, competing in globally including in important emerging markets as China, India Russia and the Middle East, and other leading emerging markets in the new global economy. John’s compelling keynotes make leaders rethink how ‘global interconnectedness’ affects businesses in new unforeseen ways. John’s Key Message – advises leaders of a new strategic management platform – one that allows companies to thrive while under the ongoing threat of continuous and also heightened turbulence. Chaotics presents this new system—a set of new strategic behaviors—designed to help businesses navigate through the new normality characterized by unpredictable and oftentimes undetectable, waves of turbulence, chaos, risk and uncertainty. John’s previous books include: Going Global: How to Globalize Your Business and Developing Successful Global Sales and Distribution Channel Strategies (Economy & Management Publishing House; (2005), Global Manifest Destiny: Growing Your Business in a Borderless Economy, (Dearborn Publishing; 2002) and Growing Your Business in Emerging Markets: Promise and Perils, (Greenwood Publishing; 2001). 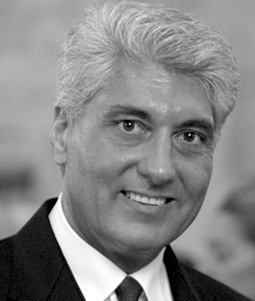 John Caslione is the founder and currently President & CEO of GCS Business Capital, LLC (GCS), with offices in Chicago, Shanghai, Hong Kong, Frankfurt and Milan. GCS is a mergers and acquisitions (M&A) advisor founded in 2005, advising US, European, Chinese and other Asian middle market companies seeking to globalize their businesses through mergers, acquisitions, strategic equity joint ventures and alliances. 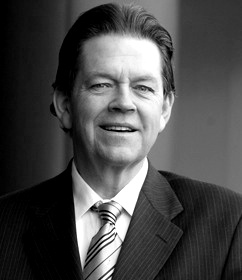 Prior to founding GCS, in 1991 John founded and served as President and CEO of Andrew-Ward International, Inc., an international management consulting firm assisting U.S. and Europe firms to develop global marketing, global account management and global sales and distribution channel strategies. 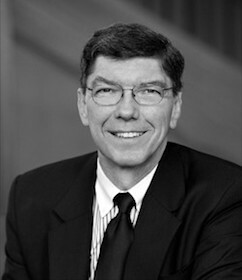 He has personally executed business strategies worldwide for many companies, including ABB, BD Biosciences, Caltex Lubricants, ExxonMobil Chemical Films, General Electric, Hewlett-Packard, Johnson & Johnson, IBM, Philips N.V., R.J. Reynolds, Sandoz, and many large and middle market firms. John serves as director and/or advisor for many U.S., European, Chinese and other Asian firms to globalize their businesses, including a special focus on small and middle market enterprises. He is a founding member of Rotary International’s first English-speaking international member club in Frankfurt, Germany in 2006. John earned his Bachelors of Science and MBA from the University of New York (Buffalo) and his J.D. (Juris Doctor) from Chicago-Kent College of Law (Chicago). John resides in Chicago (USA) and Frankfurt (Germany). Interested in booking John Caslione to be a speaker at your next event?